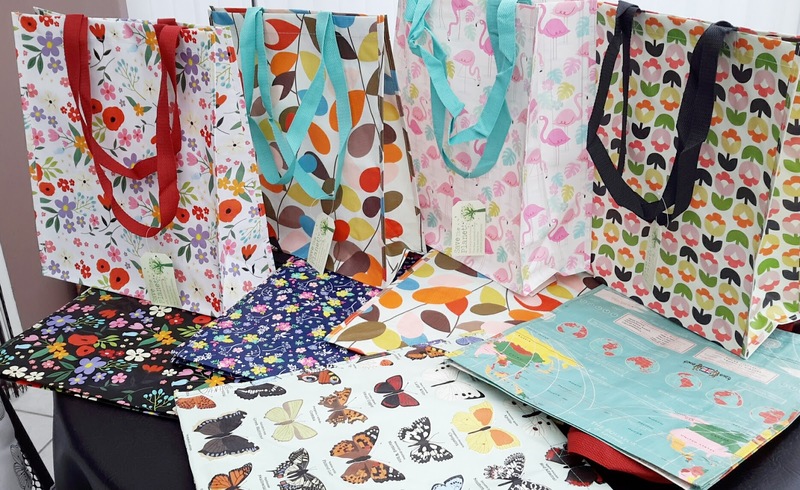 Something a bit different today... groovy shopping bags. Not just ordinary shopping bags...oh no...these bags are made from recycled plastic bottles and I got them from dotcomgiftshop.com. There are several styles of bag to choose from in a fabulous range of colours and patterns. 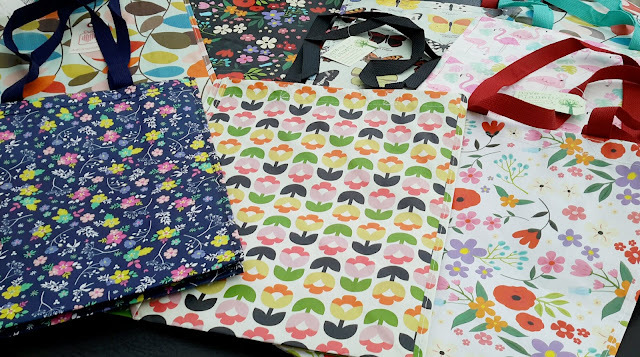 The bags I bought, in the designs above, are about 34cm wide, 15cm deep and 40cm high and were £2.95 or less (some were in a sale). If I can bear to part with any, I'm going to give some away as Christmas stocking fillers as we all need reusable bags these days and they are pretty darned stylish. 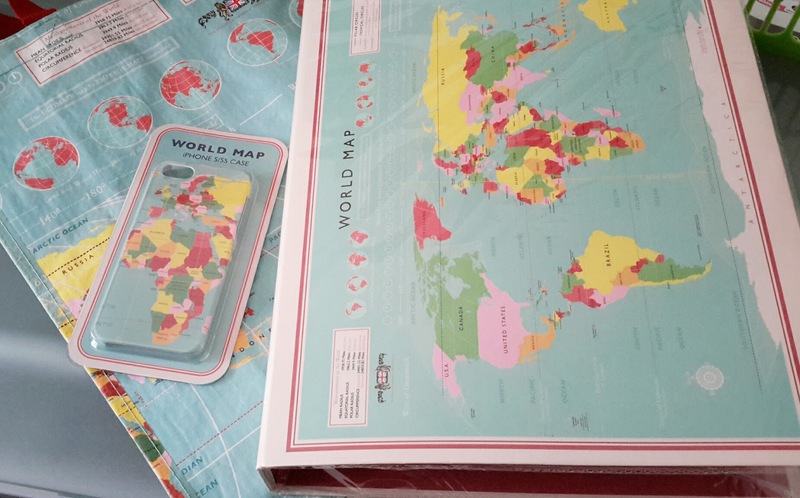 Some of the designs are also available on other products, so for example I've bought my geography-mad daughter (for Christmas...Shh...don't tell) a shopping bag, ring binder and a phone case to match in the World Map design. 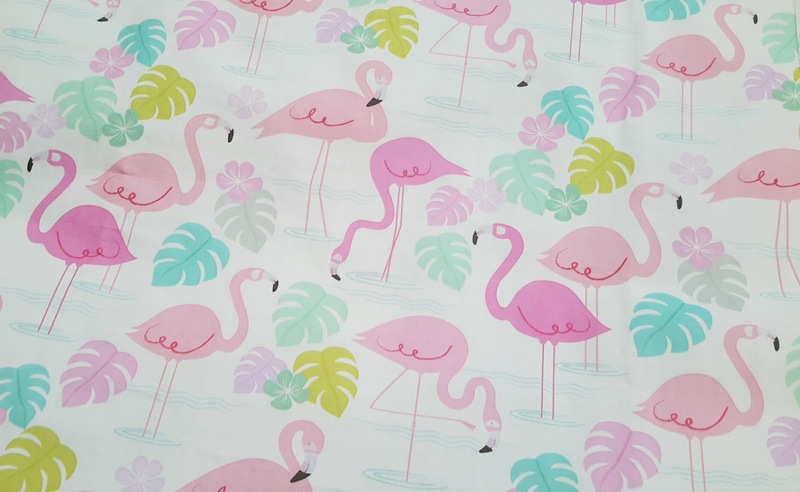 This is my favourite... the Flamingo and if you click here you will see all of the other products with this brilliant Flamingo pattern. I really encourage you to check out dotcomgiftshop, they have some unique gift ideas from dog collars, tableware and bags to wrapping paper, garden accessories and toys. This watering-can is on my wishlist!!!! 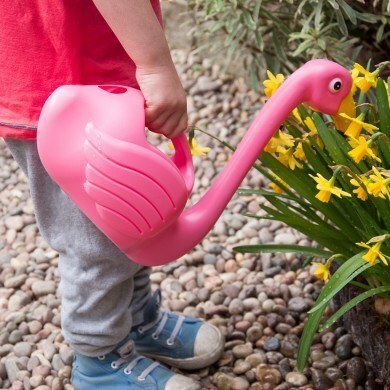 I keep dropping subtle hints like 'oh.... (insert heavy sigh).... if only I had a flamingo watering can, my life would be sooooooo much easier' (subtle huh!?). Plus I think it'd look pretty cool on my kitchen windowsill. 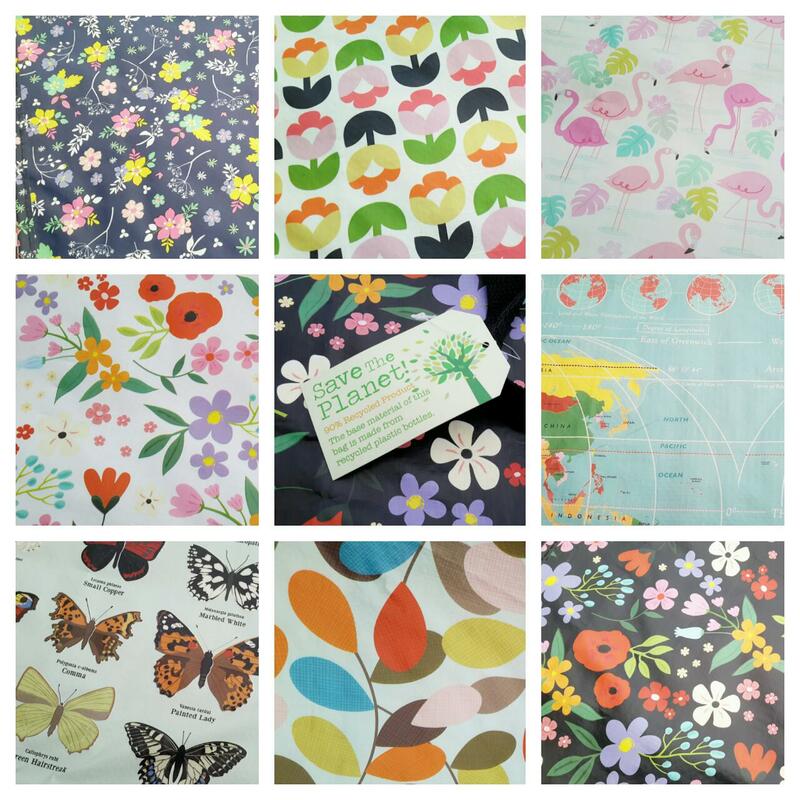 If you sign up for their newsletter you can get FREE DELIVERY on UK orders over £20.